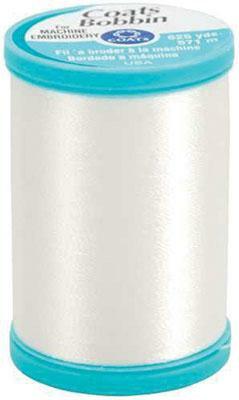 Coats 70wr Bobbin Thread for Machine Embroidery. This thread is 100 Continuous Filament polyester that is fine yet strong. It is soft and lightweight and creates a smooth backing for designs. It is available in 100 White. 625 yards per spool.